Update: As expected…there are not polls to support KERA’s exclusion of any of the gubernatorial candidates from the debate. Media campaign spending is the only driving force. As for the … race for governor….so far…the race is on a familiar path. The “as expected path” which inevitably will yield the expected outcome! 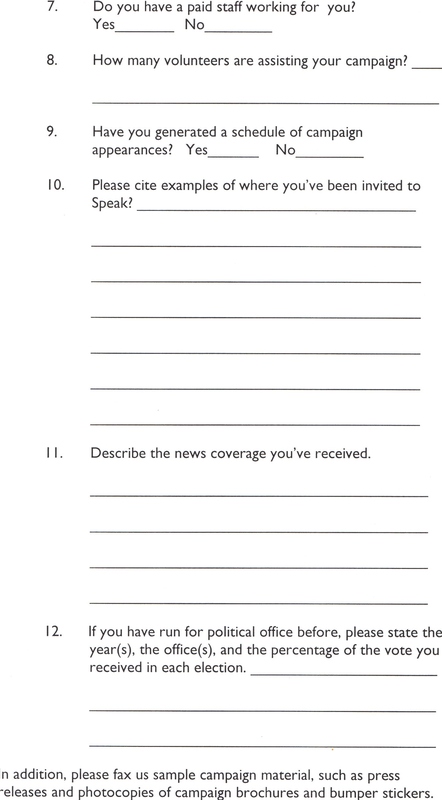 The deadline for submitting KERA’s questionnaire is noon, today. 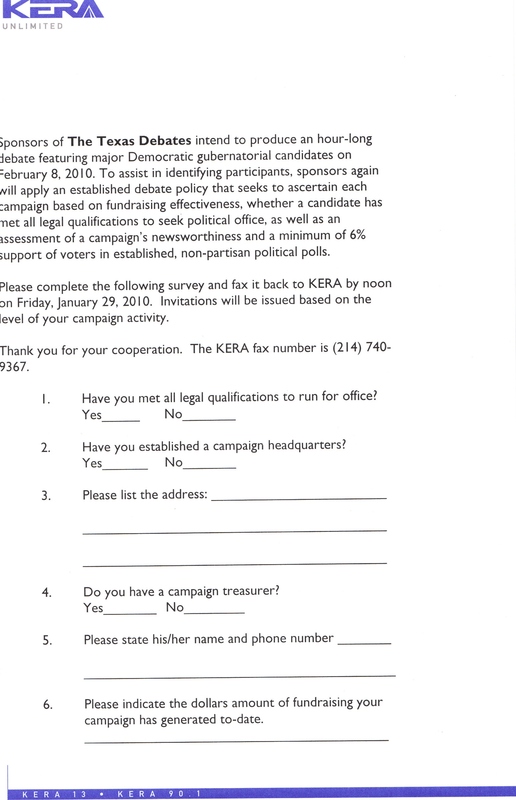 The questionnaire is designed to weed out candidate’s lacking merit… according to KERA. Items # 1 – 3-5 — TDP verifies before the fee is paid. For the past few months, we have read over and over again the need for recruiting well-qualified democratic candidates to run for statewide office. Few can deny that the objective was to recruit a Latino to run against Perry, but anyone would do, anyone that is …that the democratic establishment felt was well – qualified. The idea of challenging the GOP was primed for 2010. Every candidate on the democratic ballot met the initial requirements to file for a place on the ballot. All paid their filing fee of $3750. I realize that the anointed one feels the filing fee is too low, and noted so on air….although he was not sure how many candidates were on the ballot. When it comes to getting out the vote…nothing works better than a real challenge. Felix did pretty good in 2004/2002 in heavily entrenched Republican districts. These numbers from Felix’s Congressional run clearly show that he can pull his own weight in a heavily entrenched Republican district. You can’t say the same thing about the anointed one. He couldn’t bring his own city out to support his re-election. Still, this is the chosen one… the one laying out the rules for debate policy….the one KERA is discussing terms for a debate. KERA, it is time to include all the Democratic candidates in this discussion. After all I think the Republicans have shown that Texans want something different and they delivered. If we talk about taking on a challenge…Felix is the only candidate who has actually challenged a Republican. There were many hopefuls that the party was trying to woo into running against Perry. Did any of them take the challenge. NO! Because for them political careers is their concern, not the needs of the people. No Inclusion – No Debate! 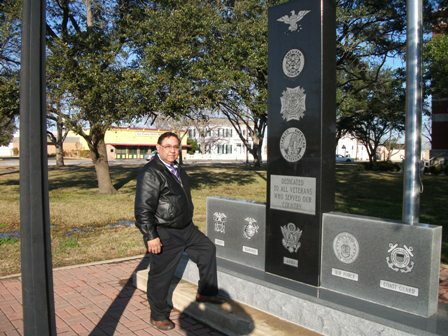 As a retired veteran, having served 28 years in the armed forces protecting and defending our way of life I will not support, nor will I be a participant in any event that excludes a person from participating in every aspect of the democratic process, especially after having fulfilled the initial requirements, one of which is payment of a filing fee. 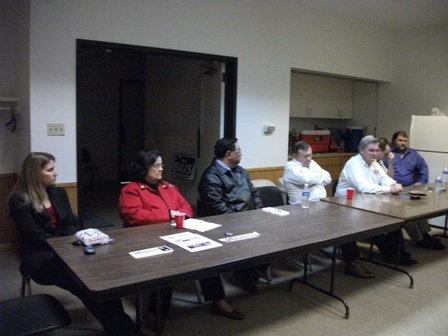 I was so impressed and proud of the Lubbock Democrats that arranged the event last night. They are the Democratic group that make me proud of being a Democrat. I am sure that those who attended would agree. I understand that the event was completely sold out with people waiting hopelessly for tickets. Clearly, the candidates did not disappoint. This is the kind of enthusiasm we need all over Texas. This is the level to which every one who calls himself a Democrat should rise…. My special message for the South Texan Democrat that suggested that all politicians unite behind one candidate…”You should have been present at last night’s event.” This is a Democratic primary and Democrats should decide whom they want to challenge the Republican winner. This primary contest is not fought in the middle, it is fought on the left and the right. “This is a fight!” said one gentleman. After Lubbock, I headed on to Knox City. As I was enjoying breakfast at a local restaurant I took the opportunity to speak with some clients about what three issues were most important to them. Their response… jobs, education and health care. From the beginning, my campaign has focused on creating jobs, immediately and long range planning for jobs that cannot be outsourced. We continue on that path. This campaign is not about rhetoric. It is about action. I will be speaking in Knox City at today at 2:30 p.m. I get the message folks. This is a fight. The Primaries is where we choose our David. With a sling-shot and a stone…we can be victorious in November. via Democratic candidates lay out agendas in Lubbock visit | AVALANCHE-JOURNAL. Felix has no fear. 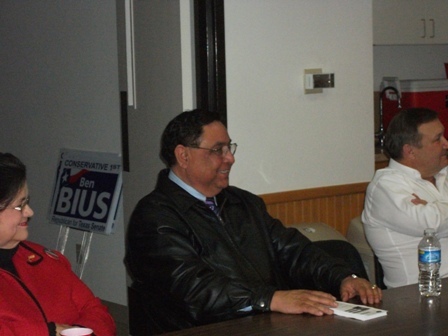 He was presented with the opportunity to take part in a candidate forum that included Republicans. It was interesting. I heard part of it via cell phone. There was a representative from Medina’s camp as well as other candidates and I hear, from those that were present… it was an interesting presentation. Believe it or not, people want to hear about all the candidates. For those who have time to listen….I run down a list of candidates…because so far the general population only knows about Perry and Hutchinson. People are amazed at how many people are challenging Perry. Either way, I tell them the only real choice we have is Felix Rodriguez Alvarado. There will be only one winner. Who will win on the democratic side? It depends on who you ask. At this point, most people comment that it is any man’s race. So…GO FELIX !!! I posted on Jan 7 that there would no gubernatorial debates before the primaries. That remains true. The person who called to cancel the original arrangements for the end of Jan. (it was initially sent out as a candidate forum) did share with me that they had tried for weeks to coordinate a debate with no success, because the White campaign refused. They, whoever does the arrangements for the campaign told this other coördinator that their candidate would not be participating in any debates. I was waiting for the chosen campaign to come back with “we never said that” it is the only way to “save face” this far into the race. It is convenient though. The thing is our campaign staff is small, so when you call in…you speak to me and I act on the request at hand. I pass on information to this blog…if I find it relevant to our campaign. We are directing our campaign. It is not been directed by any outside forces. We are the people who are compelled to bring real change, something different from what we already have. The rational broadcasting radio show had the anointed one on yesterday’s show. A supporter who happened to be listening in called me up to share some of what the chosen one had to say about his opponents. The supporter found it quite disturbing that this guy would completely dismiss the other gubernatorial candidates, including Shami who is paying for his own campaign, as is Felix. He is just on a way smaller budget. Anyway, I don’t know how many people listened to the anointed one’s interview yesterday on this show, but his comments about the other candidates were quite offensive to our supporters. I cannot speak for anyone else’s. First, when asked about the other candidates, he responded with “well, I am told there are five or six candidates also running…I guess the filing fee is too low.” When he was informed that listeners found the comment offensive, he responded with “I guess those people….need to get a life.” Now mind you I was not listening to the show, but this listener called me up… angered by the comments the anointed one made. I see an immediate need for an apology to the listeners that were tuned into that program (or can we file this under politics as usual). Either way, the word arrogance came to mind. And this is the candidate that wants to lead Texas? This is the candidate who has a loyal following of our elected officials. Where is his concern for the people of Texas? The people are the biggest concern at the moment. It is the people that he has offended that are struggling with the state of the economy, with the inadequacies in education, and with the lack of affordable and accessible health care. This guy is dismissing people (voters) and he has yet to make it past March 2. Will he so easily dismiss the needs of Texans? To whom does he owe allegience? Debate…yes, Felix will debate with all the candidates. I don’t know who this guy thinks he is that he gets to set the rules for any debate? Here are our rules. Rule 1: All the candidates are to be invited. Participation is voluntary. Rule 2: Only a neutral organization that will not endorse any candidate, and is not a PAC may organize the debate. Rule 3: The debate must be held in a rural area. Who does the chosen one think he is… trampling over the democratic process? As an attorney did he not learn that we live in a democracy? If I were him, I would not want to debate anyone either. I would not want to embarrass myself. He confronts Perry, as if Perry is his only opponent. He has yet to win the Primary. He’s not even sure how many democratic opponents he is facing. It is a good thing this poll was released today. The poll released today by Rasmussen (not surprising at all) shows the anointed one maybe able to beat Debra Medina in November; if she can beat Perry/Hutchinson (no disrespect to Mrs. Medina-she has loyal supporters). There are 42 days left until the March 2 primary. Why is the anointed just now presenting his campaign theme (platform)? Is this the time when voters…have to take it or leave it because he is the only choice? Perhaps the chosen one does not want his opponents to get free airtime. That is probably true, but I prefer to believe that he does not want his opponents to upstage him because he knows any one of them probably will… He has not done any serious campaigning, outside of a room full of elected officials. At this point, many Democrats will consider voting Republican. Before you take that step, I ask you to consider Felix. Felix has been committed to this race and to the people of Texas. 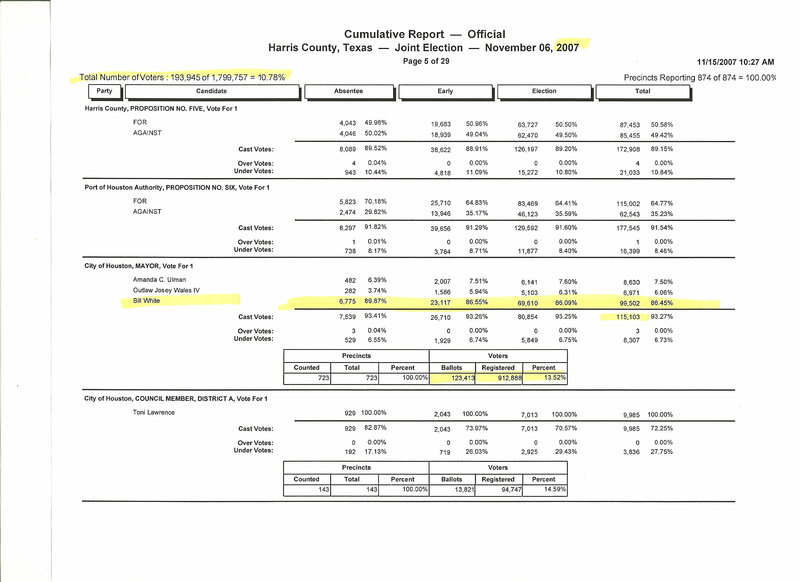 via Election 2010: Texas Governor’s Race – Rasmussen Reports™.